A classic look at how architecture reflects the sentiments and values of the time. 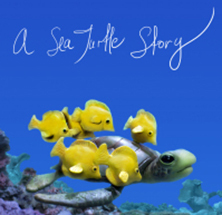 A moving and exquisite stop-motion animated film that chronicles the life of a sea turtle. A dramatic story of the reconciliation between biological and adoptive families for a cross-cultural adoptee. A profile of Pierre Dansereau, ecologist, visionary and inveterate optimist, who believes that while the environment may be threatened by human beings, it will also be saved by them. Provides an overview of U.S.-Canadian economic ties, with possible alternatives to marriage with the United States. Charts the personal journey of three families with children who have been diagnosed with Autism Spectrum Disorder. Its new, its fearless, and its very real. A hybrid type of coyote, thought to be part wolf, has migrated to Eastern Canada. Through the personal stories of three young people, this compelling documentary explores the issues and challenges of childhood and youth depression.